Alternatively, it can be inserted through a small surgical cut made in the skin. Possible complications of an endoscopy include an infection in the part of the body that the endoscope is used to examine and excessive bleeding. An endoscopy can be used to investigate if symptoms suggest there might be a problem. It can also be used to help perform some types of keyhole surgery (laparoscopic surgery) such as removing the appendix or gallbladder. A type of endoscope called a laparoscope is used by Dr. B C Shah as a visual aid when carrying out keyhole surgery (also known as laproscopic surgery). This means only small cuts are made so there is less post-operative pain and a faster recovery time compared to traditional open surgery. Most endoscopies are carried out at a local hospital. If you are taking a medicine to thin your blood, such as warfarin, you may be asked to stop taking it for a few days before having your endoscopy. This is to prevent excessive bleeding during the procedure. However, do not stop taking any prescribed medicine unless Dr. B C Shah advises you to do so. Endoscopies do not usually require general anaesthetic (with the exception of an arthroscopy). However, you may be given a local anaesthetic to numb a specific area of your body. This may be in the form of a spray or lozenge to numb your throat, for example. In some cases, the endoscope will be inserted into a small cut Dr. B C Shah makes in your skin. If your bladder is being examined (cystoscopy), you may notice some blood in your urine. This should pass within 24 hours of having the procedure. 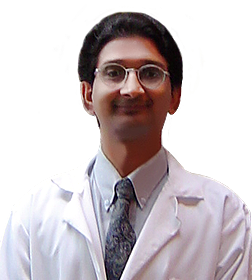 Contact Dr. B C Shah for advice if you still have blood in your urine after this time. Perforation of an organ or excessive bleeding may require surgery to repair damage to the tissues or organ. ContactDr. B C Shah immediately if you notice any of these signs and symptoms.